Age: 3 Years and older Gloves and CSA approved hockey helmets are mandatory. Cheam Skating Club proudly presents Canskate, the Skate Canada designed “Learn to Skate Program” for all. 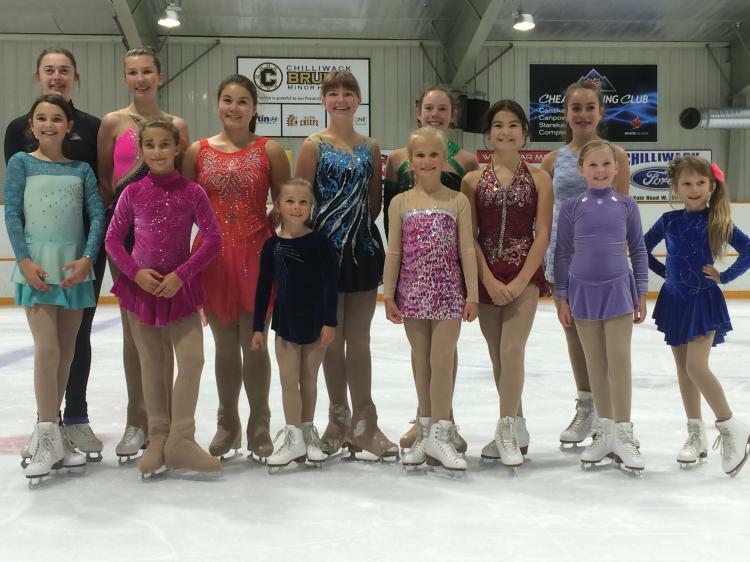 This innovative and progressive ice skating program can take you from your first steps on the ice through to involvement in the ice sport of your choice. 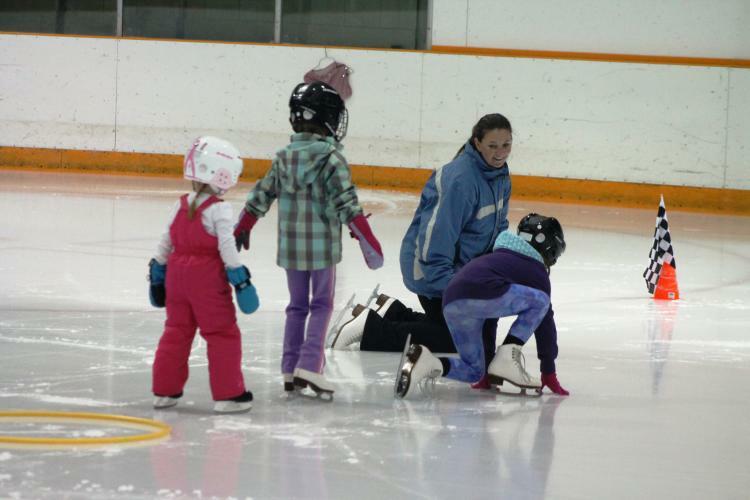 Canskate provides the fundamental skills required for all types of ice sports: hockey, ringette, speed skating and figure skating. Group lessons include 45 minutes of professional coaching, from one of our Skate Canada Nationally certified coaches, to enhance the fun factor and create a great learning environment. Badges and certificates will now be awarded upon achievement of various levels within the program. There will be special event days, themed days and on-ice parties, music and fun throughout the sessions. Rental skates and helmets are not available during our sessions - you must bring your own equipment. All Parents/Guardians are responsible for their children while at the arena. Do not leave your children unattended. The Club is not responsible to provide child supervision. Gloves and proper skating attire. Junior Academy is the next stage of development after Canskate, for skaters 5 years to 8 years old who demonstrate enhanced ability potential to pursue competitive skating. This program is taught by Cheam's exceptional Skate Canada certified coaches, introduces skaters to the foundations of figure skating. Off ice training is also included in the program. Girls are expected to wear a skating dress or skirt, with hair tied back or in a bun. Boys are expected to wear form fitting pants. Completion of Jr. Achiever Group. All ages gloves and proper skating attire. Once a skater has completed our Jr. Academy program, they may start taking lessons with a coach. The Cheam Skating Club offers our skaters: Freeskate, Stroking, Spin Patch, Skills, and Dance Sessions. Coaches offer private and group lessons, teaching all the disciplines. It is up to the parent to contact a Club Coach of their choice and make arrangements for these lessons. Gloves and proper skating attire is mandatory on all sessions. Coaching fees are included in the cost of registration. Our skating club couldn't run without our many volunteers. Volunteering provides a great way to learn about the sport of skating and meet other skating families. There are numerous opportunities to volunteer in events such as carnival, competitions, and representing our club in various community events. You can find more information about volunteering on the Cheam Skating Club board at Twin Rinks. We invite your family to participate by volunteering for three hours during our fall/winter sessions. We will collect a postdated cheque, made payable to Cheam Skating Club for $50.00, on the first day of your child(ren)'s session. At the end of March families that have completed their three hours will have their cheques returned to them. Cheques from families that did not volunteer will be deposited to the Skater Development Fund, which helps offset the costs of out of town competition expenses.